Purim and Pesah are both festivals of redemption, serving as bookends in the final and first months of the Hebrew year. But Purim is by far the lesser holiday. True, the Jews of Persia escaped from Haman’s genocidal threat, but they then remained in a vulnerable position, and in the final chapters of the Megillah they reacted to their trauma with physical violence rather than spiritual growth (a few alms for the poor notwithstanding). There are no songs of praise (Hallel) on Purim, and nothing comparable to the song of the sea or the march to Sinai, just a drunken feast meant to make the victims resemble their tipsy tormentors. The sages taught us to juxtapose redemption to redemption (b. Megillah 6b), and I sense that their idea is not only proximity but also ascent. We proceed from Purim’s raucous celebration of a narrow escape to Pesah, a festival of restraint that teaches us to savor the sweetness of freedom, and to create a just society bound by law. Redemption, we learn, is not primarily about mastering external circumstances but about internal growth. Shabbat Parah is a point of transition when the Jewish people, bloodied and even defiled by the conflict of Purim, dedicates itself to purification in preparation for Passover. On this Shabbat Parah we read the verses from Numbers 19 that describe the ritual of the red heifer with its “lustration waters” that purify a person after corpse contamination. Next comes the haftarah from Ezekiel 36 describing the restoration of Israel through a shower of purifying waters and the replacement of their calcified heart with a heart of flesh and feeling. Both texts describe spiritual restoration from a contaminated state, and Ezekiel declares this change as essential for the national restoration of Israel. Mishnah Megillah 3:4 is our primary source for the custom of reading the four special maftirs, Shekalim, Zakhor, Parah and HaHodesh, but the Talmud Yerushalmi questions the order. In Y. Megillah, Rabbi Levi cites Rabbi Hama b. Hanina in asking why Parah precedes the fourth special Shabbat, HaHodesh, since chronologically they should be reversed. The red heifer was prepared on the second day of Nisan, so Shabbat Parah should follow HaHodesh, the passage from Exodus 12 that teaches Israel how to identify the new moon. He answers that Parah precedes HaHodesh because it describes the purification of Israel. Before there can be a change in external circumstances, internal change must commence. No doubt the texts and rituals of Parah are obscure, yet there is something exalted about them. As with Zakhor, the reading of Parah is considered to be its own mitzvah (SA OH 685). Moreover, there are legends about the moment when Moses ascended to heaven and encountered God. What was God doing just then? Apparently, reviewing Mishnah Parah 1:1, quoting by name Rabbi Eliezer, who taught that the heifer in the purification ritual described in Deuteronomy 21 could be up to a year in age, whereas the red heifer of Numbers 19 could be up to two. This exceptionally obscure teaching would seem to have little spiritual significance, and yet the rabbis imagine God pondering it in heaven. In various versions of the story (see below), Moses understands the significance. Every other form of impurity has a ready remedy, but what could be done for a priest who became impure through the mitzvah of burying his own dead? 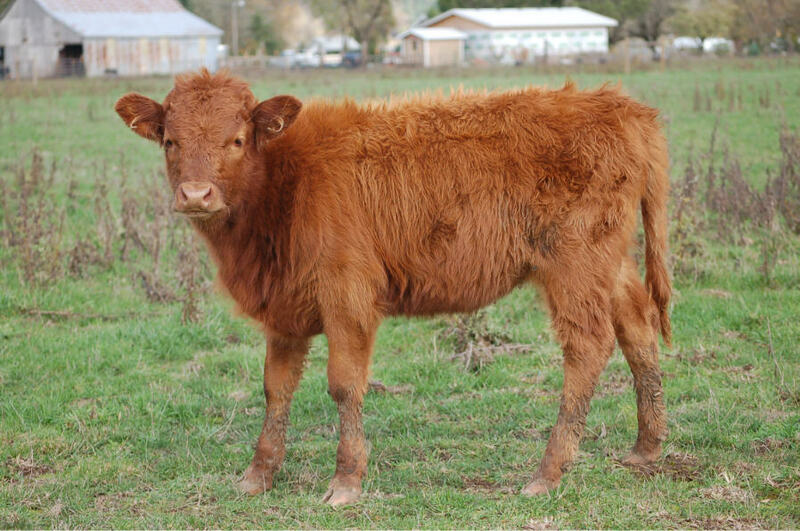 The red heifer was the key to this dilemma, but it had been hidden from Moses and Israel in the interim between Parashat Emor (Lev. 19) and Hukkat (Num. 19). Moses senses the personal dilemma faced by the priests, starting with his brother, and also the national crisis that would ensue if the religious leaders became permanently impure. As such, he is relieved to learn the teaching of the red heifer, with its power to purify the priests, and is impressed by this Rabbi Eliezer, who has mastered the details to such an extent that God quotes him by name. In the Midrash, Moses blurts out, “May it be thy will that he (Rabbi Eliezer) be one of my descendants!” God assures Moses that it is so, noting that this second century CE rabbi has the same name as Eliezer, the son of Moses. The Midrash employs a quote from Proverbs 21:22, that, “One wise man prevailed over a city of warriors, and brought down its mighty stronghold.” This, we learn, refers to Moses, and teaches that spiritual power will always triumph over brute force. Purification—both ritual and moral—is the essential preparation for the pursuit of justice. Parashat Parah teaches this lesson, and it is worth attention as in America and in Israel we find ourselves at points of inflection. In Israel, this is a week of election, and the world watches closely to see where this democracy will head. I have opinions about many of the major issues, but my main concern now is that the people of Israel direct their gaze inward to perfect that which is broken, and in that way to make wise and righteous decisions. No doubt such a process of discernment will lead citizens of different stripes to opposite conclusions, and that is the confounding beauty of democracy. My prayer is that they make their model not the redemption of Purim—a carnival of strife and survival—but the greater redemption of Passover, a feast of freedom with universal significance. Here in America, it is astonishing that fifty years after Bloody Sunday in Selma, we continue to fail to create an unbiased society with equal opportunity for people of all backgrounds. The Department of Justice report of persistent racial bias against African Americans in Ferguson, MO, and many other places has shocked our nation, and so too has the violent attack on police officers in that troubled town, just as the top officials had agreed to step down. There is a sense of unraveling in American society, and an urgent need for all citizens to purify themselves of the self-righteous anger that leads not to justice but to violence and destruction. We will discuss this problem at JTS this Thursday in the program on Race, Bias and Justice in America. Once again, Purim is an unhelpful model—taking down a villain may be satisfying and often necessary, but the real work of redemption is to pursue justice through a combination of idealism, compassion and self-restraint. Katharine Lee Bates said it best in the second stanza of her poem, “America”: America! America! God mend thine ev’ry flaw, Confirm thy soul in self-control, Thy liberty in law. Pesah is linked to Shavuot through the counting of Omer—but it all begins here with Parah, when we resolve to cleanse ourselves from the contamination within, and to become a pure nation, living in peace and justice under the rule of law. As we complete the book of Exodus, encouraging one another to grow in strength, may Maftir Parah remind us that redemption from external threats begins with purification within. בשבת שלישי, שהוא ט“ו באדר, מפסיקין; ובשבת ד‘ שהיא כ“ב לאדר מוציאין שני ספרים; באחד קורא בפרשת (ט) השבוע, ובשני קורא פרשת (י) פרה, ומפטיר: וזרקתי עליכם מים טהורים (יא) (וע“ל סי‘ קל“ז סעיף ה‘). י“א (יד) שפרשת זכור (טו) ופרשת פרה אדומה <ב> חייבים לקראם [ב] מדאורייתא, לפיכך בני הישובים שאין להם מנין צריכים לבא (טז) למקום שיש מנין בשבתות הללו כדי לשמוע פרשיות אלו שהם מדאורייתא. הגה: ואם אי אפשר להם לבא, (יז) מ“מ יזהרו לקרותם (יח) בנגינתם ובטעמם (מצא כתוב). ר‘ אחא בשם ר‘ חנינא אמר בשעה שעלה משה למרום שמע קולו של הקדוש ברוך הוא שיושב ועוסק בפרשת פרה אדומה ואומר הלכה בשם אומרה ר‘ אליעזר אומר עגלה בת שנתה ופרה בת שתים אמר לפניו רבון העולמים יהי רצון שיהא מחלצי אמר לו חייך שהוא מחלציך הה“ד (שמות יח) ושם האחד אליעזר שם אותו המיוחד. ר‘ אחא בשם ר‘ יוסי בר‘ חנינה בשעה שעלה לשמי מרום שמע קולו של הקדוש ברוך הוא יושב ועוסק בפרשת פרה ואומ‘ הלכה משם אומרה, ר‘ אליעזר או‘ עגלה בת שנתה ופרה בת שתים. אמ‘ משה לפני הקדוש ברוך הוא, רבון העולמים העליונים והתחתונים ברשותך ואת יושב ואו‘ הלכה משמו של בשר ודם. אמ‘ לו הקדוש ברוך הוא, משה, צדיק אחד עתיד לעמוד בעולמי ועתיד לפתוח בפרשת פרה תחילה, ר‘ אליעזר אומ‘ עגלה בת שנתה ופרה בת שתים. אמ‘ לפניו רבון העולמים יהי רצון שיהי מחלציי, א‘ לו חייך שהוא מחלציך, הד‘ /הדה/ היא דכ‘ /דכתיב/ ושם האחד אליעזר (שמות יח: ד), ושם אותו המיוחד אליעזר. This entry was posted in Divrei Torah on March 13, 2015 by Rabbi Danny Nevins.